Mish arrived in back of a ute early Wednesday morning, and took a few timid steps into her new life here at Happy Hooves. 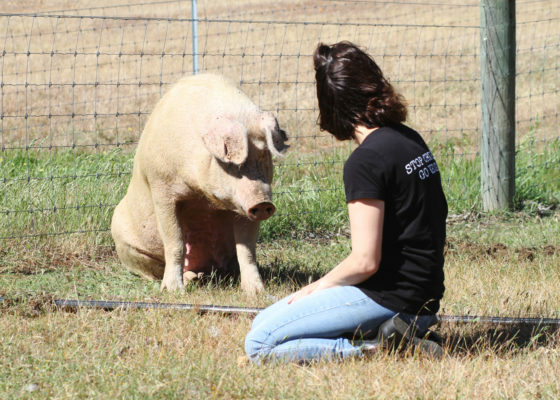 Perth Pig Save‘s contact at a local slaughterhouse arranged her release through their network. 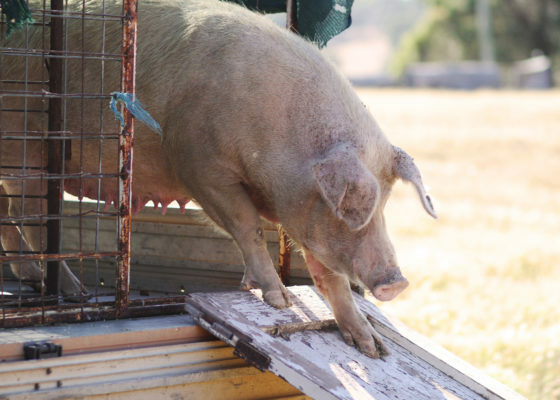 She is the second sow to be released by the pork producers, the first being Carol pig who began a new life at Greener Pastures back in January. Up until today, we’re unsure if Mish has ever felt the sun on her back or the earth beneath her feet. 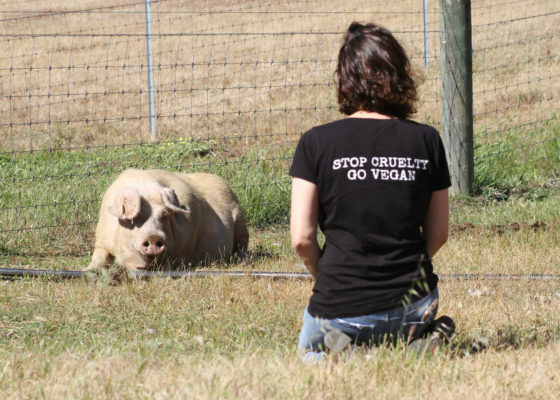 Born into factory farming, she has lived the confined life of a breeding sow. 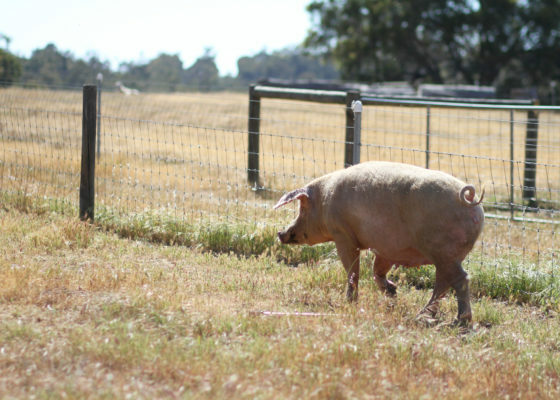 Female pigs are kept in small pens or sheds in large numbers that they have little room to move. 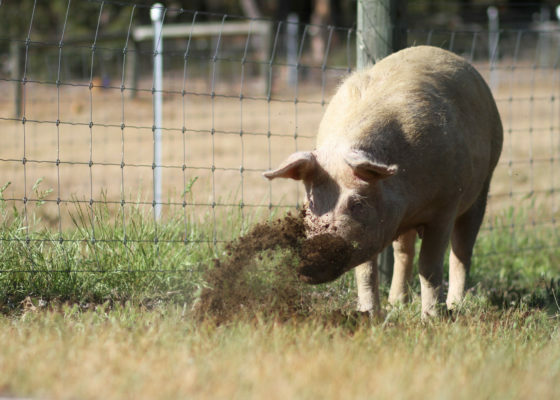 Pigs are intelligent and social animals, in such conditions they are deprived of exercising their natural behaviours such as foraging and wallowing. This morning Mish has been busy exploring her new surroundings. She’s been enjoying some sunshine, getting her snout dirty and her bottom muddy. She is very wary of humans, but we hope with time and patience she learns to trust us. We are delighted to give this beautiful girl the life and love she deserves. Would you like to help us to take care of Mish? One off donations and sponsorship gifts are available now to support our work.